England: Brown; Watson, Joseph, Barritt, May; Ford, Youngs; Marler, Youngs, Cole, Lawes, Parling, Wood, Robshaw, Morgan. 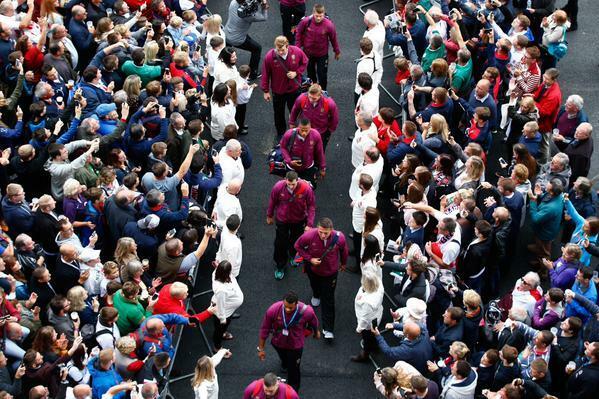 Replacements: George, Vunipola, Brookes, Launchbury, Vunipola, Wigglesworth, Farrell, Burgess. Ireland: Zebo; Bowe, Payne, Henshaw, Kearney; Sexton, Murray; McGrath, Best, Ross; Toner, O'Connell; O'Mahony, O'Brien, Heaslip. Replacement: Strauss, Furlong, White, Ryan, Henry, Reddan, Madigan, Cave. Hello and welcome to our live coverage of England's final warm-up game - the World Cup is just around the corner! Stuart Lancaster's men face Joe Schmidt's Six Nations champions, with kick-off is at 2.30pm. We'll bring you all the build-up and action as it happens. England will be hoping to improve after their recent dismal showing in Paris. The 25-20 defeat raised a lot of questions, some of which could be answered today. As part of their preparations, England are using Twickenham's away dressing room, just as they will in their opening match against Fiji. 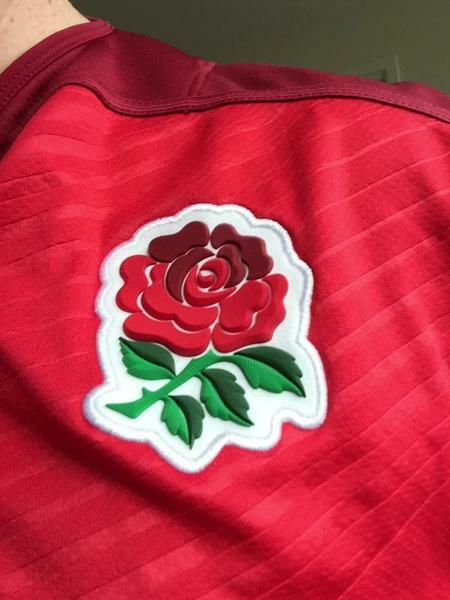 Captain Chris Robshaw has just spoken to Sky Sports, and despite saying he expects Ireland to bring "intensity and passion", he wants his team to play with excitement. The Harlequins man also said England will have to win the game's aerial duels if they are to come out on top, which has been a big talking point ahead of this match. World Cup-winning coach Clive Woodward sees today as an opportunity for England to learn lessons. "Against France, we were completely out-muscled in every respect. Unless the basic line-outs and scrums go right, we have no chance at the World Cup, so this is a massive chance for England to improve and get things right." Jonny Wilkinson is looking forward to this afternoon's fixture. "It's a really interesting fixture to have before the World Cup. These two teams are basically carrying the hopes of the northern hemisphere." "Both teams are looking for the win, both need it." @IndySport @Independent Come On! England! England: Mike Brown; Anthony Watson, Jonathan Joseph, Brad Barritt, Jonny May; George Ford, Ben Youngs; Joe Marler, Tom Youngs, Dan Cole, Courtney Lawes, Geoff Parling, Tom Wood, Chris Robshaw (captain), Ben Morgan. Replacements: Jamie George, Mako Vunipola, Kieran Brookes, Joe Launchbury, Billy Vunipola, Richard Wigglesworth, Owen Farrell, Sam Burgess. Ireland: Simon Zebo; Tommy Bowe, Jared Payne, Robbie Henshaw, Dave Kearney; Johnny Sexton, Conor Murray; Jack McGrath, Rory Best, Mike Ross; Devin Toner, Paul O'Connell (captain), Peter O'Mahony, Sean O'Brien, Jamie Heaslip. Replacements: Richardt Strauss, Tadhg Furlong, Nathan White, Donnacha Ryan, Chris Henry, Eoin Reddan, Ian Madigan, Darren Cave. As you might expect, both anthems have been superbly observed. Our referee is Nigel Owens, a leading candidate to officiate the World Cup final. Both sides will be hoping they'll join him there. A wonderfully delayed pass from Ben Youngs allows Jonny May to burst past a helpless Simon Zebo and cross the line. A fantastic start from England and to cap it off, George Ford converts for 7-0. England's early pressure has paid off but Ireland have some momentary relief, regaining the ball and finally having a bit of possession in the home side's territory. Penalty to Ireland after May's missed tackle. Up steps Johnny Sexton, and his kick registers his side on the scoresheet. We've got a brief stoppage in play while a touch judge receives treatment for an injury. May's off again running down the touchline, once again striking fear into Irish hearts, but the move comes to nothing. A brilliant try. Ford weights a superb long ball out to Watson on the wing who takes the ball with real class, shrugging off his Zebo to score. Ford is unable to convert, despite the kick being slightly easier than his first. Nevertheless, what a start from England! Ireland bring Conor Murray off the field after a head injury scare, although he's up and looking well. It's disappointing fare from Ireland so far and to make matters, worse, Conor Murray won't be returning to the field. England have a line-out and once again, claim the ball. That's five out of five now, which I think counts as improvement. Hold fire. The decision is being reviewed and it doesn't look favourable for England. All going @EnglandRugby way at moment. Ten minutes before the interval and Ireland are still looking all over the shop, as they lose possession in a turnover once again. The break can't come quick enough for Joe Schmidt's men. England concede a penalty for an offside and Sexton kicks into touch for a line-out five yards from the touchline. Can they reduce their arrears? No chance. Geoff Parling robs the ball at the line-out to the sound of cheers from the Twickenham crowd. Watson's at it again. A scintillating break for the line sees him go close to increasing England's advantage but he's felled by a perfectly timed Sexton tackle. Sexton looks to bring his side back into the tie with a lovely little chip and Mike Brown, who's been otherwise fantastic at full back, forces a knock-on and concedes a scrum in a decent position. It's been the home side's half, no doubt. It could have been even better if May's hadn't seen his second try disallowed but England will have few complaints. An excellent first 40 minutes. Ireland having plenty of possession at the start of this half and they're looking much more settled. It all comes to nothing however, as England's Ben Youngs relieves the pressure with a cracking kick down field. 20 - None of the last 20 games between @EnglandRugby & @IrishRugby have seen a side overturn a HT deficit, the last time was in 1996. Tough. 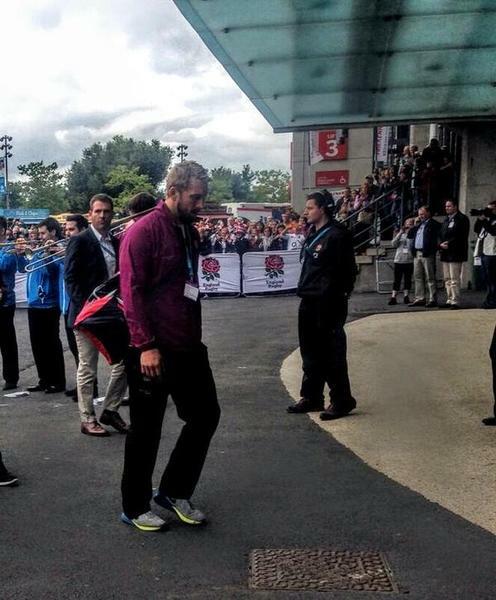 Geoff Parling is coming off for England after having a decent afternoon. Joe Launchbury is his replacement. England awarded a penalty around 45 metres out after getting the best of the scrum and George Ford scores three points. The green shirts respond immediately with a spell of heavy pressure, eventually winning a penalty yards from the try line that Sexton converts. They're not completely out of this yet. Captain Paul O'Connell battles to bring the ball over the try line after Ireland win a line-out and work the ball inside. Sexton easily converts the kick. 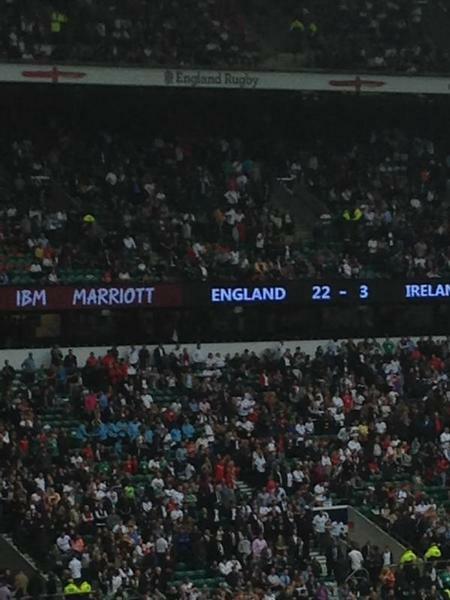 England should perhaps have seen this game off. They're in a proper contest now. You can almost hear the skeletons smashing together as a brilliant aerial duel between Mike Brown and Kearney is won by the Englishman with a real big whack. Fantastic stuff. Ireland turn the ball over and should break to score but a needless forward pass from Robbie Henshaw halts play. With just over a quarter of an hour left, Ireland's momentum seems to waned slightly. England are applying pressure and it causes Sexton, cramped up, to slice a clearance out of play. Burgess breaks through the line but, in the split second he takes to look for a pass, he gives the Ireland forwards the chance to bring him down. England have a try decision reviewed. It's definitely down, but did it make the line? Actually, it doesn't matter. The TMO rules Tom Wood took the ball in an offside position two phases of play back and after all that, it's a penalty to Ireland. England win a penalty from a rolling maul and Owen Farrell converts a simple kick to extend the lead and offer a little breathing room. That should be that. Another penalty for England, who have the chance to put this game to bed from 48 metres, and do. Farrell converts once again. There we have it. England go into the World Cup on the back of a win and a good performance, particularly in the first half. Ireland, on the other hand, go into the tournament on the back of two defeats. "The issue for me is they have played a sub-par team today and at half-time the game should've been put to bed. The last few kicks have given the scoreline a nicer ring, but England still need that ruthless killer instinct." England coach Stuart Lancaster, however, doesn't seem to have any complaints. "We were up against a high-quality team and I thought we deserved the win. Getting back to 15-13 was tight but I was delighted with the way we closed out the game."